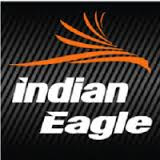 Name of Organization Or Company Name :Indian Eagle Pvt. Ltd.
Have to attend customer calls at any time. Willing to work in US shift operations. Xerox copies of All Educational Certificates. Landmark: NATCO PHARMA Jubilee Hills check post, Hyderabad.